In decidedly blustery but surprisingly warm weather brought by Storm Callum, 209 walkers, joggers and runners turned up at Graves this morning for event #329. 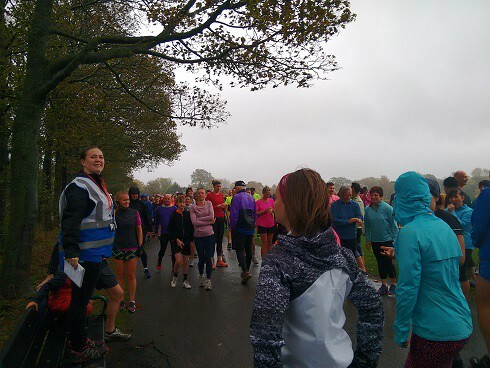 Run Director Catherine welcomed everyone (including tourists from as far afield as Australia) and ran through the usual parkrun reminders. A big thank you was given to all volunteers for coming along to support parkrun. This week is Mental Health Awareness Week (8th-14th October). Catherine mentioned the positive role that parkrun plays in many peoples’ lives and the #RunandTalk campaign that aims to encourage people to take the time to have a chat with others during their runs. 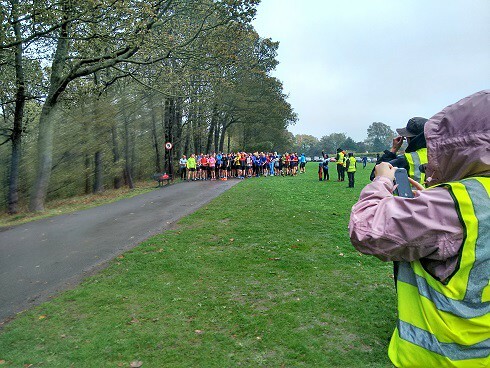 Luckily the rain stopped just before the start leaving a strong wind to blow the parkrunners around the course. 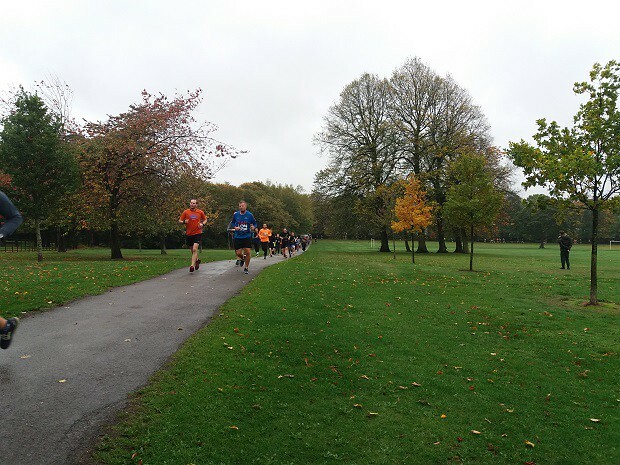 There were 29 first timers this week, 10 of these were doing their first ever parkrun. Well done to you all. We had 19 people visiting Graves parkrun for the first time. Come back soon! We had one milestone this morning: Peter MACFARLANE who completed his 100th parkrun. Well done! There were 12 PBs this week. Well done. Storm Callum seemed to have some impact here! For the foreseeable, we will all be running the doggy detour route up the field. Run report written by Ali Forward. This entry was posted in Run Reports by gravesoffice. Bookmark the permalink.